Like many Cubs fans, Blue Mhoon didn't know if he'd ever see his favorite team play in the World Series. 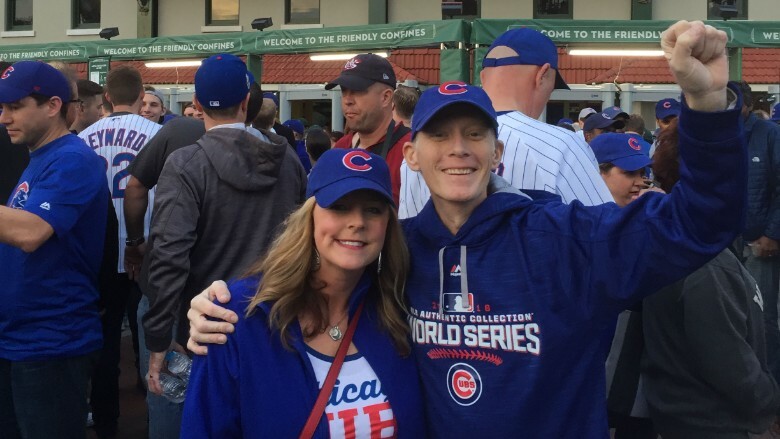 And the Fayetteville, Ark., insurance salesman certainly never expected to attend a Series game at Wrigley Field, especially after he was diagnosed with stage 4 renal cancer this summer. But friends and family used a GoFundMe campaign to raise $28,000 in one day so Mhoon, whose given name is Roger, and his wife could see Game 3 of the Series on Friday. The money paid for the $5,500 tickets along with first class airfare, meals, a car service and a hotel room. 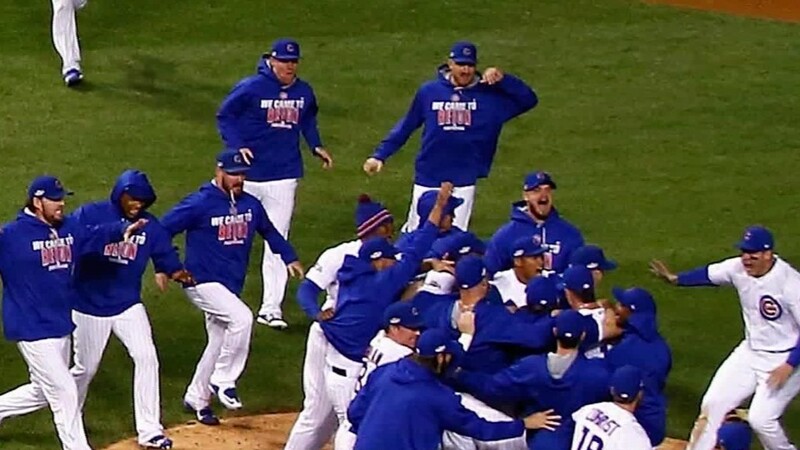 "It was incredible," Mhoon said Saturday of the Cubs' first World Series home game in 71 years, despite the team's 1-0 loss. "The electricity was unbelievable. Just walking into the stadium with my wife, we were in the middle of history there. It was more than I ever imagined." Mhoon, 41, started following the Cubs when he was a child growing up in Arkansas. After school, he'd tune in to game broadcasts on WGN-TV. Mhoon said he was worried that he wouldn't be physically ready for Friday's game. "You never know how you'll feel day to day," he said. But his doctor promised he'd get him ready to go. By Friday, Mhoon was feeling as good as he had in weeks. He sat on the lower level near first base. "I once had a dog I named Sandberg," he said, referencing the Cubs Hall of Famer. "And we ended up sitting four rows behind Ryne Sandberg." Blue Mhoon and his wife Amanda outside World Series Game 3 at Wrigley Field on Friday, Oct. 28, 2016. Leftover funds raised by the 220 people who backed Mhoon's campaign will be sent to a foundation at the hospital where Mhoon's now 4-year-old son was born two months prematurely. Mhoon wasn't the only baseball fan to benefit from online fundraising efforts. GoFundMe reported 114 separate efforts to raise money to send people to the Series. Together, those campaigns raised more than $100,000. Most recipients weren't facing illnesses like Mhoon. Some campaigns targeted a favorite teacher or other worthy Cubs or Indians fan. Other efforts were launched by people hoping to get help so they could afford their own ticket. "This is one of the first examples of people using it en masse for an event like this," said GoFundMe CEO Rob Solomon. "But I think you'll start to see it being used this way more and more in the future." Another man who had a campaign started on his behalf was Jim Schlegel, a 97-year-old Navy veteran who survived Pearl Harbor. Schlegel attended the last World Series game at Wrigley in 1945. The campaign started by Schlegel's granddaughter caught the attention of Chicago businessman Marcus Lemonis, who stars in the reality show "The Profit" on CNBC. Lemonis gave Schlegel two front row tickets for Friday's game. The $12,976 raised by his GoFundMe campaign will be donated to the Purple Heart Foundation. "It was a great game, even if it wasn't a winner," Schlegel said.